Now, I'm sitting for a short course about Android Programming for five days. 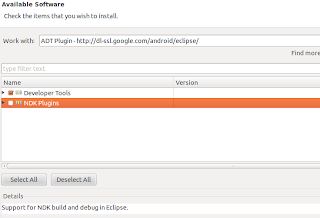 So, I'd like to share my experience setting up Android SDK with Eclipse on Ubuntu 12.04 LTS Precise Pangolin with you. Let's get started. Well, if you want to develop Android application for Android 2.3.3 then you should Android 2.3.3 (API 10). For further information about Android platforms and packages please click here. And then click OK. In the Available Software dialog, check the "Developer Tools" checkbox, click Next and follow on-screen instruction. 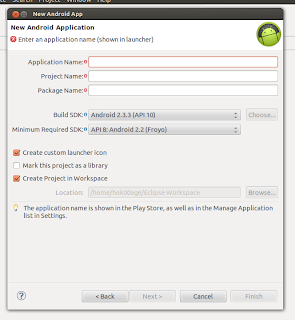 The last step you need to do is locating the Android SDK Tools to work with Eclipse. 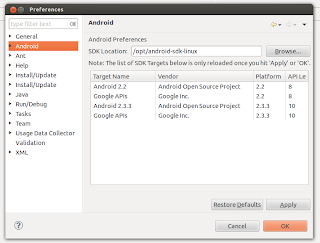 In Eclipse menu, select "Window > Preferences...", select "Android" from left panel, in the "SDK Location" click "Browse" and locate your Android SDK Tools (in this example: /opt/android-sdk-linux). Now you are ready to develop Android application on Linux. 2 comments to ''Setup Android SDK with Eclipse on Ubuntu 12.04 or Linux Mint 13"
I am always facing problem when I've to installing software on Ubuntu. 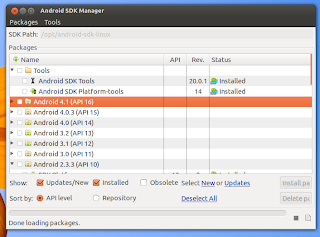 It is very critical to install SDK on linux. I am feeling your this codes is going to make it easy.